If you are looking for sarcoidosis experts or second opinion in critical case, please read! In this great European initiative for rare diseases Sarcoidosis was associated due to it’s largest organ involvement of the lung with the European Reference Network for rare lung diseases (ERN-LUNG) and especially to the core network of interstitial lung diseases (ILD) due to the medical systematic. More over in this European Network approach the interdisciplinary cooperation within each ERN and with the other ERN’s is in the central scope of this initiative. This is of course in accordance of the general character of the Sarcoidosis disease which can affect nearly all organs and therefore reflects the needs of Sarcoidosis patients. The vision and key objectives of this initiative is to improve the care and treatment of people living with a rare disease in Europe, to build a network of experts to collect and enhance medical knowledge and to increase research. The 'Sarcoidosis Europe' with national sarcoidosis patients' associations and along with many ambrella organisations on other rare disorders in Europe is engaged for several years now to foster a network of expert centers in Europe collaborating for the benefit for Sarcoidosis patients, especially severely affected patients. This is a model for interdisciplinary and cross-border collaboration in health care. So we are very happy, that the start with lot’s of small and large steps was done successfully. Since the beginning of this initiative we are supporting it as member of the European Patient Advisory Group (EPAG) of ERN-LUNG. Thus the European Reference Centers for ILD are available with their expertise especially for severely affected Sarcoidosis patients and their local doctors when looking for special advise concerning diagnostic, treatment and follow-up. In Europe these are currently 28 university and special hospitals in several European countries. The medical ERN members have access to a special European case conference software with up to date patient data security and data protection (Clinical Patient Management System CPMS) allowing also cross-border expert advise. A lot of the European Sarcoidosis experts are well known to several of the national Sarcoidosis patients’ associations or are even member of their medical advisory boards. We therefore are very thankful to the experts in Europe making available their expertise to the patients and their local doctors to bring together experience in this rare disease and connecting to actual Sarcoidosis research for the severely affected Sarcoidosis patients. Position the mouse on the European map on the country of interest and click left to see the ILD reference centers with the links to their information websites and contact details in this country if any. Credits: Many thanks to Phil Archer for sharing this very instructive svg example. The following links show also the ILD centers in ERN-LUNG in alphabetical order by country and city name here. ERN-LUNG is a non-profit, international, professional, patient-centric and scientific network and it is committed Europe-wide and globally to the prevention, diagnosis and treatment of rare respiratory diseases through patient care and advocacy, education and research. In keeping with these goals, ERN-LUNG will interact with both national and international organisations which have similar goals. ERN-LUNG’s vision is to be a European knowledge hub for rare respiratory diseases and to decrease morbidity and mortality from them in people of all ages. Please read more about the European reference networks and watch the Video on the website of the European Commission (EC). The European Reference Network for Rare Lung Diseaes (ERN-LUNG) is the only one uptodate to provide this general expert service to patients and their care given doctors. Please ask your question to the ERN-LUNG Expert Advice Knowledgebase. This service is available in English and German right now. Please use. It is important to know, that we will not be able to make a personal diagnosis or give you a personal treatment recommendation online. For such please refer to the ERN-Lung reference centers to achieve personal diagnotics and treatment as well as to recieve bross-border referal to experts for your local health care provider/doctors. As a joint action with Sarcoidosis researchers from US and Europe and support of the European Lung Foundation (ELF) the sarcoidosis patient organisations in Europe collaborated and promoted this first survey on treatment priorities of sarcoidosis patients. The response to this questionaire within 1,5 month being online was really large: 1.842 participated. Thanks very much to all of those. 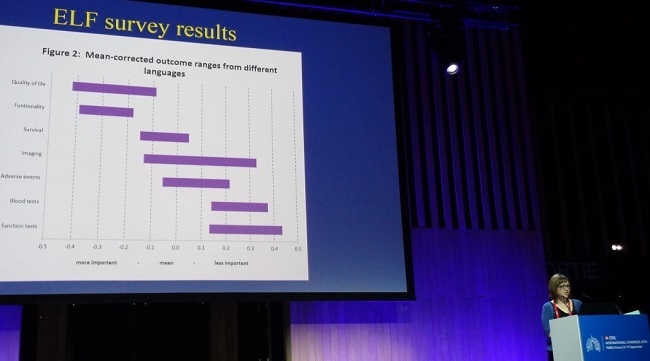 The detailed results are just officially published in the European Respiratory Journal Open Research in the linked article 'Sarcoidosis: patient treatment priorities' (ERJ Open Research 2018 4: 00141-2018; DOI: 10.1183/23120541.00141-2018). "Scans, tests and examinations are of course crucial in the treatment, but the well-being and the quality of life determine how much I suffer from sarcoidosis. And that is the most important thing." "Our survey also highlighted that assessing ability to work and provision of supportive measures in this area were additional important factors for consideration. The survey results reinforce the view that clinical indicators should not be the only target of treatment and that sarcoidosis clinicians should be encouraged to assess patient-reported aspects so that they can be incorporated into care." "Clinicians should work in a multidisciplinary way. This is particularly important for multisystem diseases to ensure that specialists can contribute their expertise at the same time to enable quicker, accurate and comprehensive diagnosis, treatment and follow-up." "Access to a range of services, such as pain management and psychological support, is important to achieve." "Sarcoidosis specialists and specialist centres are needed in every country." What is your experience of treatments? How do you evaluate the success of your Sarcoidosis treatment? In order to find out the need to invent new and better therapy for rare diseases like Sarcoidosis and to enable us the express the urgency, please give your opinion and experiences on how you would estimate the success of your sarcoidosis therapy regarding your symptoms, disease progression and effect on your daily life. It will enable us to measure rare disease patients unmet needs regarding treatments to communicate them to decision-makers. It will also contribute to propose practical and implementable solutions to work towards the goal of accelerating the development of, and guaranteeing timely and access to all, rare disease therapies. Thank you for your contribtion to this survey. It takes about 10 minutes only and is available in 23 European languages and open for your response until 30.04.2019. Please follow the above link and choose your language. Thank's again! We want a better understanding of who is affected by sarcoidosis, how they are affected, the possible causes and how they are being treated by healthcare professionals in order to identify the issues for future research from the patients' perspective. Please contribute to the Big Sarcoidosis Survey of our member association SarcoidosisUK. Thank's a lot for support of future research priorities. 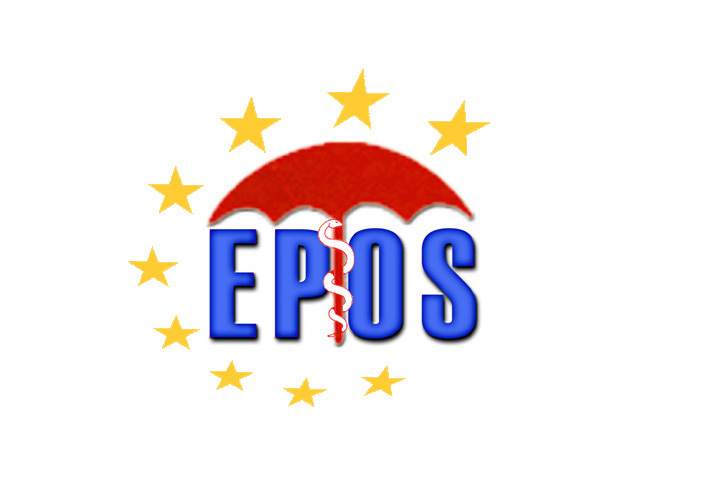 EPOS was founded as the international umbrella under which all national patients' organizations will be represented. Founded in the Spring of 2001 by SarcoidosisUK (United Kingdom) formerly SILA, DSV (Germany), SSARV (Switzerland) and SBN (Netherlands), EPOS was joind by BBS (Belgium) in autumn 2006 and by ISARC (Ireland) in spring 2008. EPOS has clearly marked targets and ideals. These include active participation in the foundation of (new) national organizations and also to stimulate international research and provide a forum for the exchange of ideas, experiences and expertise. The priority remains the provision of adequate information for patients and all others involved, in the broadest sense. The suffering of the long-term sarcoid patient must be recognized as an unsatisfactory situation. Not only is the cause unknown but a medical cure remains undiscovered. In order to help these patients and those who aim to help them, the European Association of Patients Organizations and other Granulomatous Disorders (EPOS) was brought into being. On the next pages, the members will present the general thoughts and issues in greater detail and, more importantly, in their languages.